In April 2018, the AWC Board of Directors set a fundraising goal of £7,000. Our intention was to track all donations received via 50/50 raffles, direct donations to charities made in the club’s name, and funds raised at Founders’ Day. On Friday the 8th of March 2019, the Club smashed that goal. Our 120 Year Founders' Day Charity Gala was a rocking success, with more than 100 attendees. Through a spirited live auction, steady online auction, and Ronald McDonald House pledges, the AWC raised over £14,000 — double our goal! Thank you to our sponsors, business donors, individual donors, silent and live auction bidders, all who pledged funds and all who attended the Gala. We had record attendance and participation! All proceeds after expenses go to our three chosen London charities: Ronald McDonald House Evelina London; The Soup Kitchen at The American International Church, London; and Doorstep Library. Members may view our full photo gallery of the event on the Members > AWC Photo Albums page. 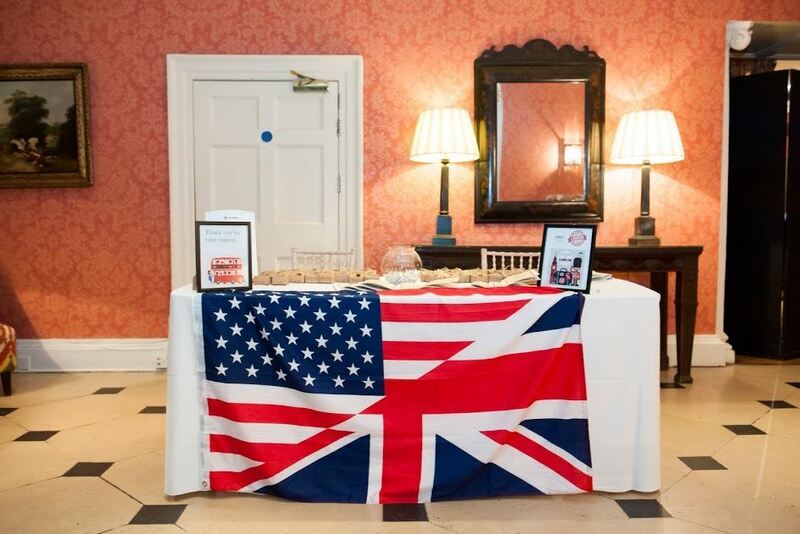 Since 1899, the American Women’s Club of London (AWC) has welcomed members to London and supported a commitment to offering support, friendship, activities and opportunities for philanthropic work. 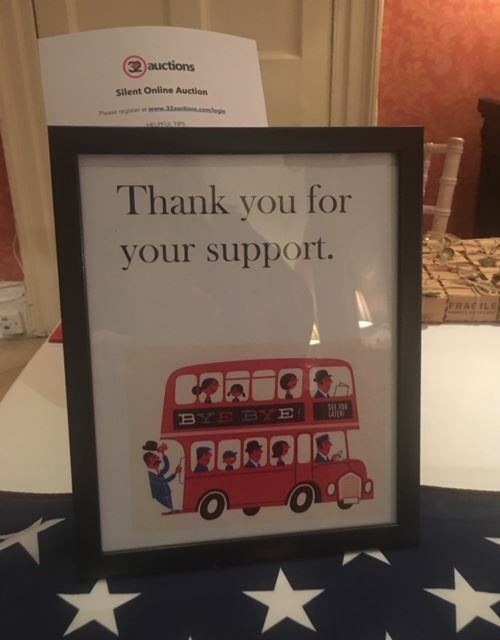 We were excited to showcase our donated auction items on this site and at the Founders' Day Charity Gala on Friday, 8 March, 2019. 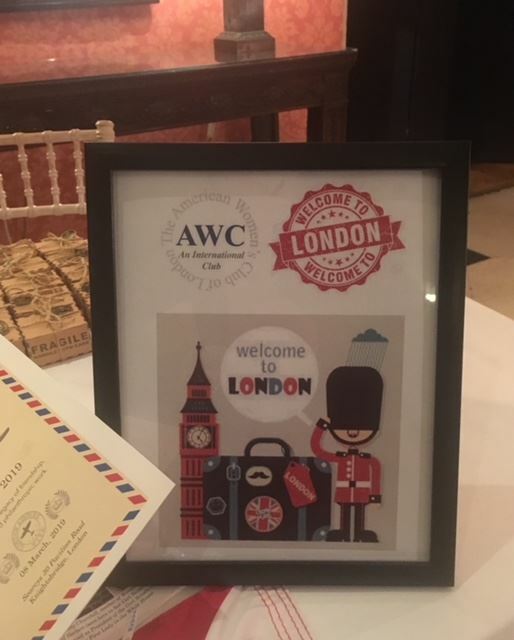 The AWC organizes various activities ranging from volunteering monthly with hands-on assistance at UK registered charities such as The Ronald McDonald House and The Soup Kitchen to social and cultural events around London and the UK. Each year we honour the founding members of the American Women’s Club by hosting an annual Founders’ Day event that focuses on the importance of giving back. Helping Hands: Eva Chu, Heather Collins, Gretchen Gantner, Beth Holmes, Vivian Jung, Kim Lynch, Laura Schapira, Sylvia Wallach and AWC volunteers who helped at the event! Thanks for helping to make this year's fundraising campaign and event such a success.